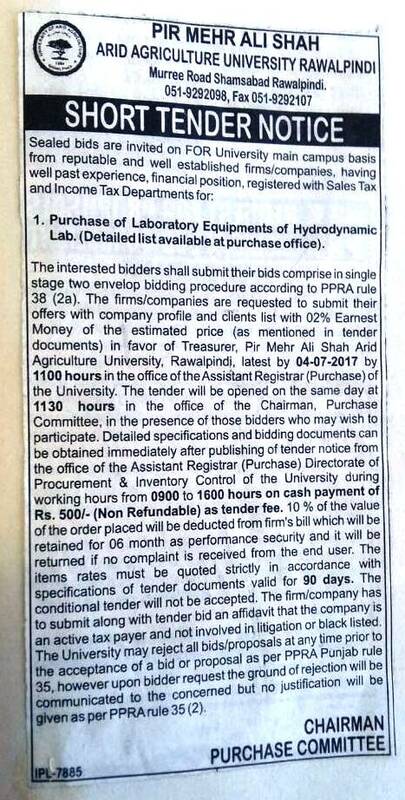 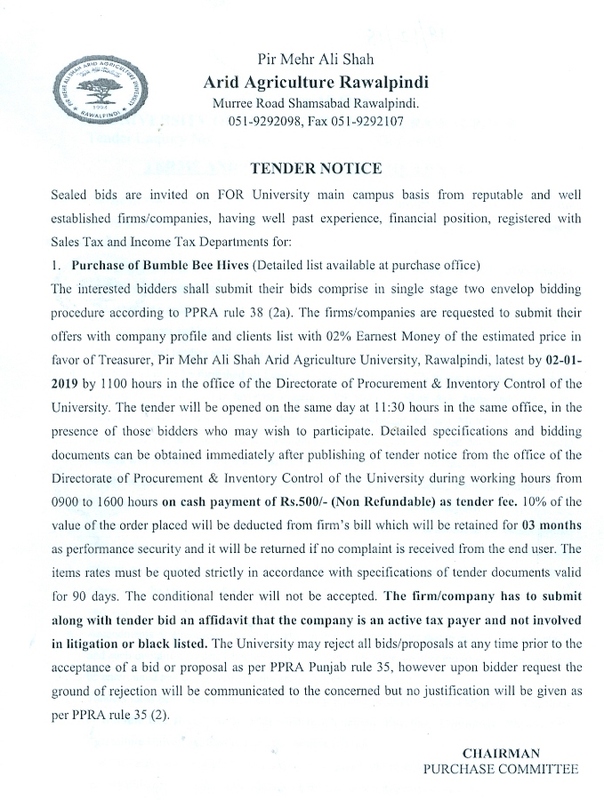 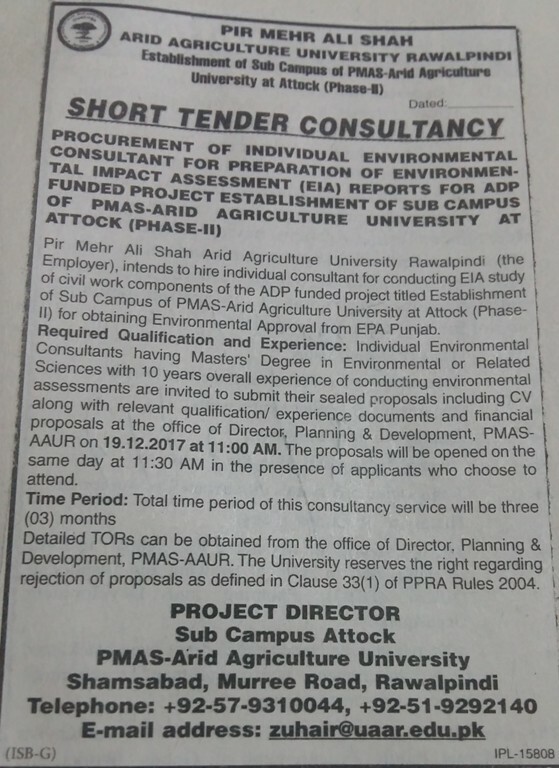 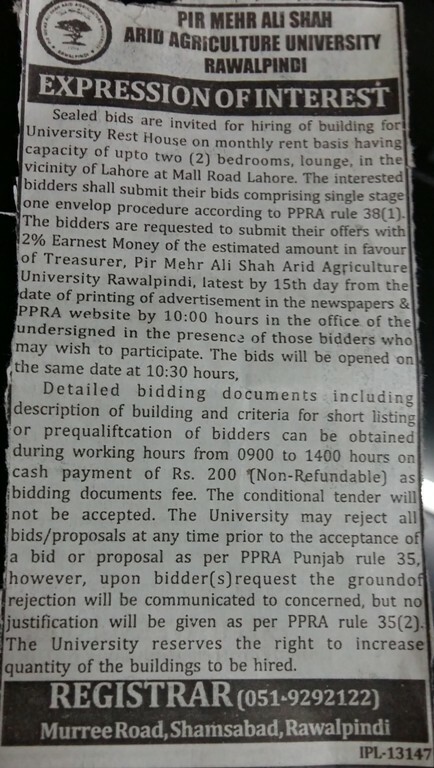 Purchase of Laboratory Equipments of water Quality Lab. 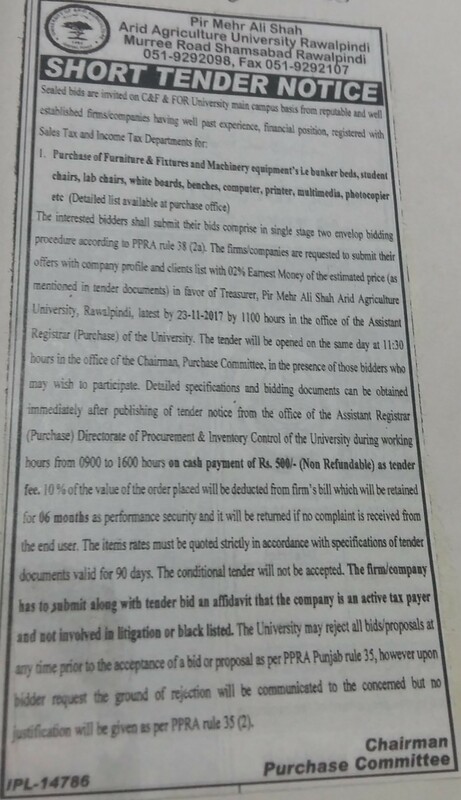 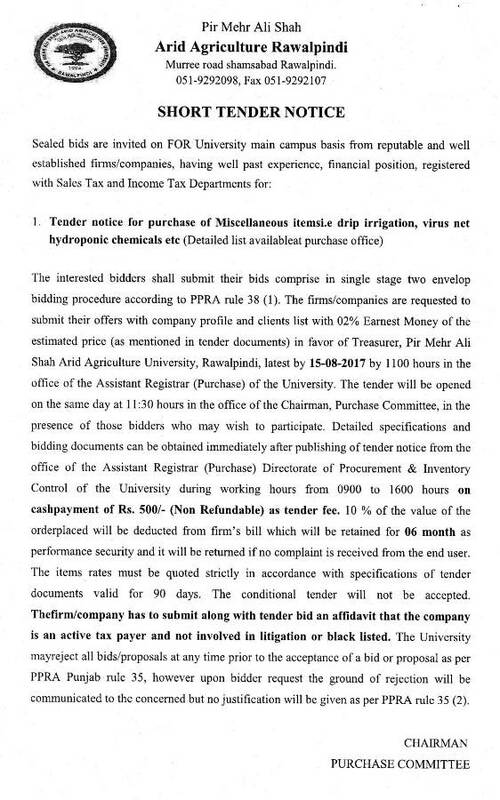 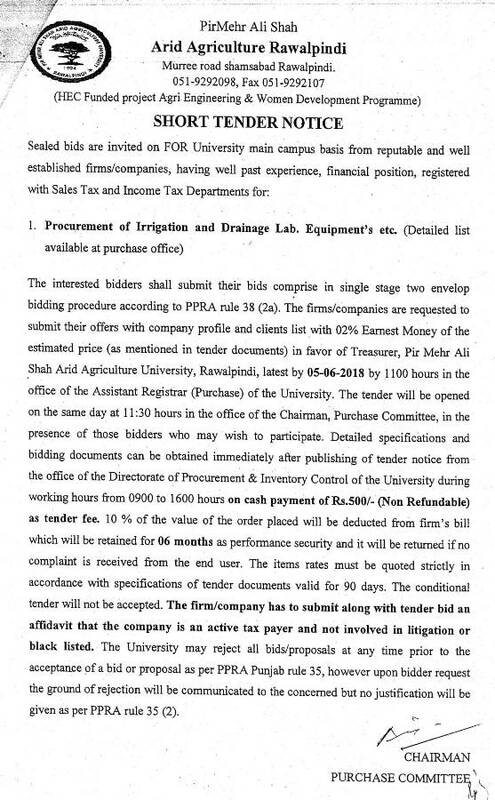 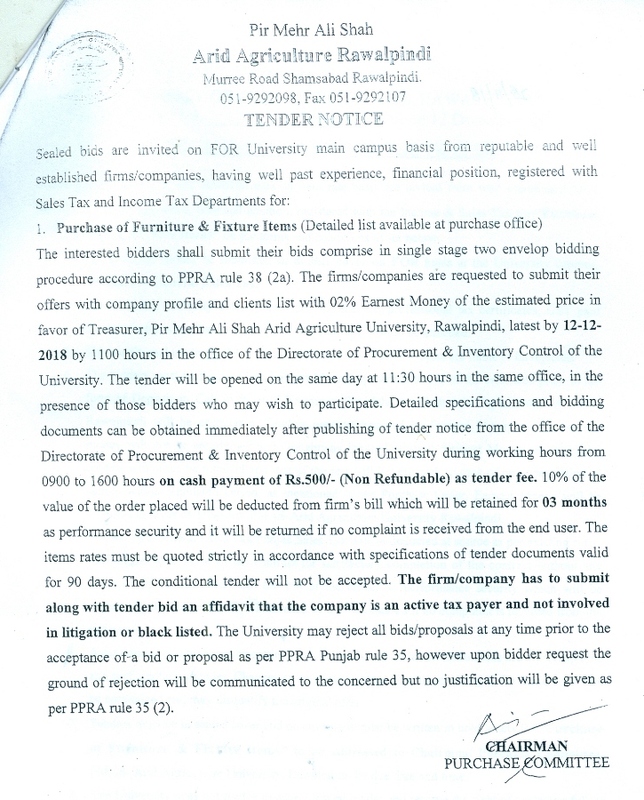 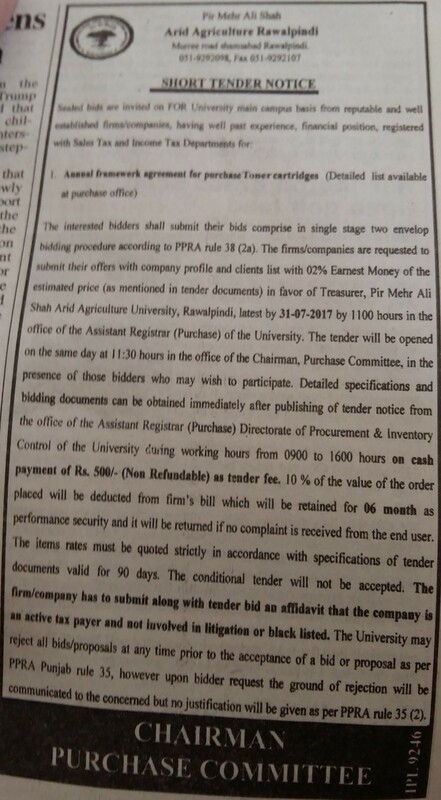 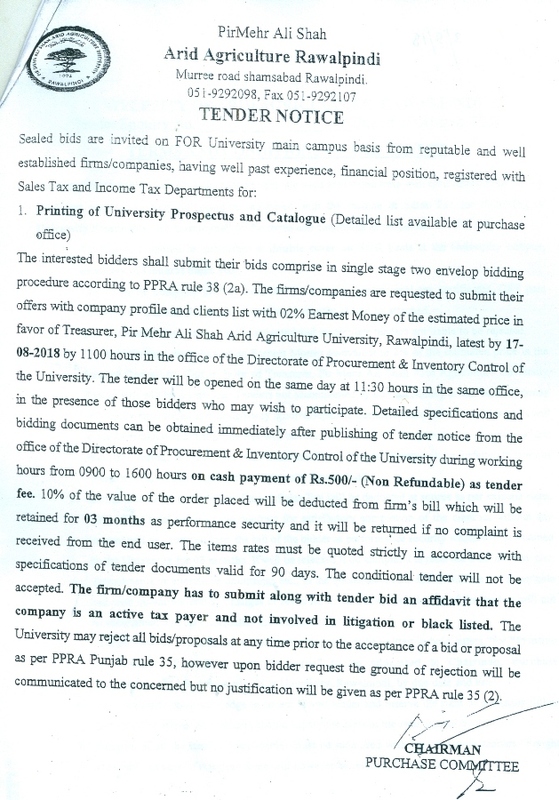 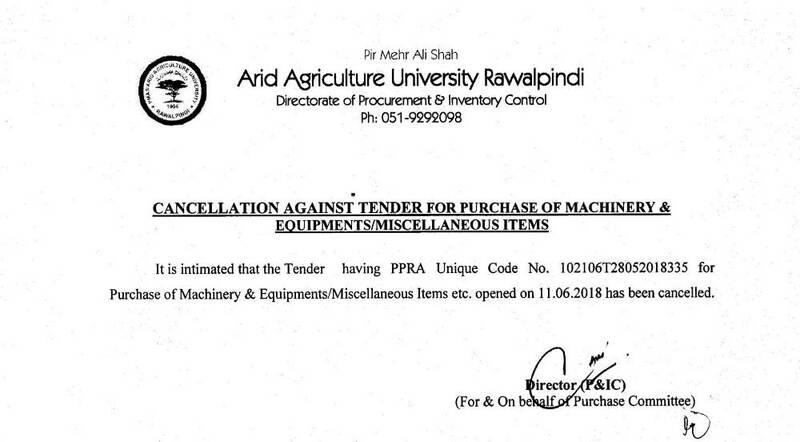 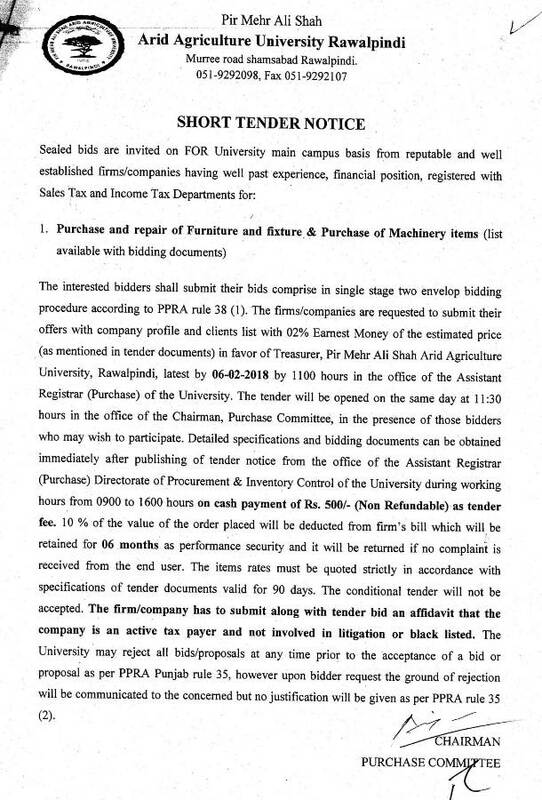 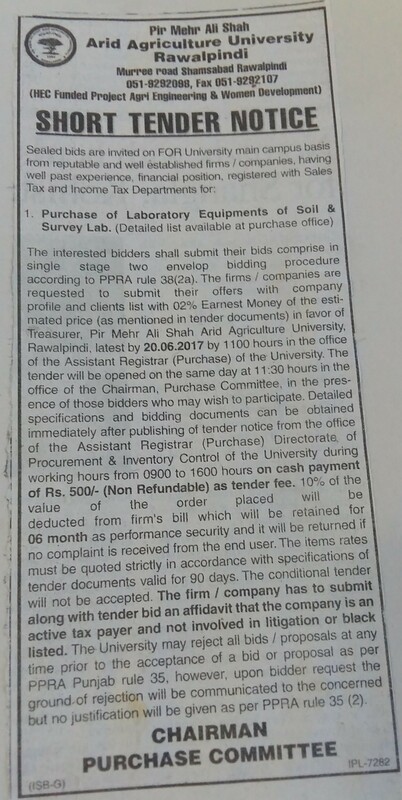 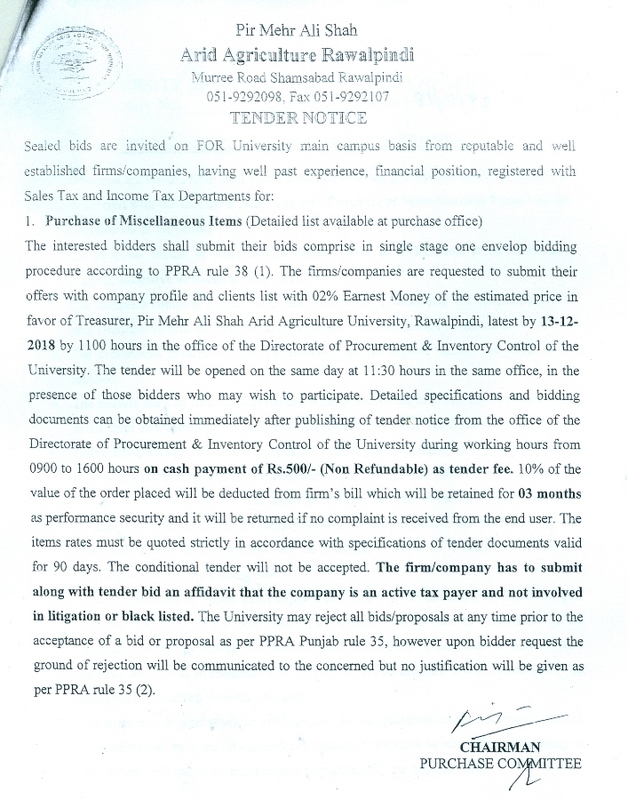 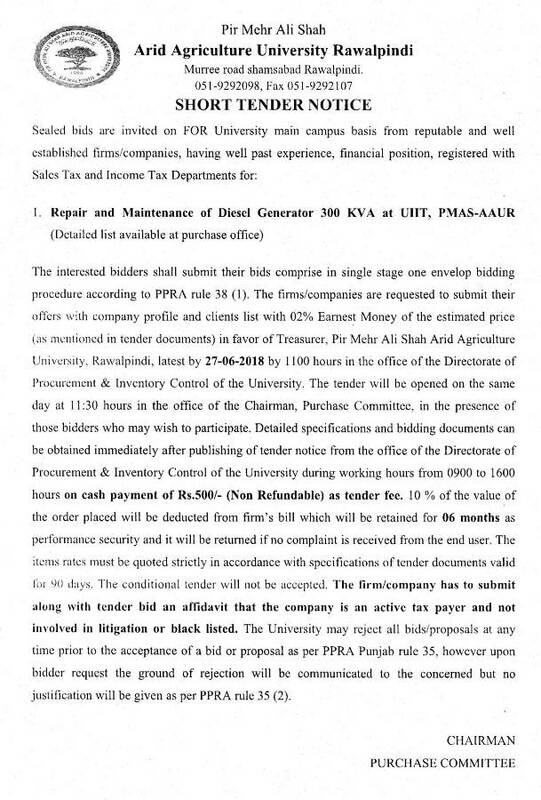 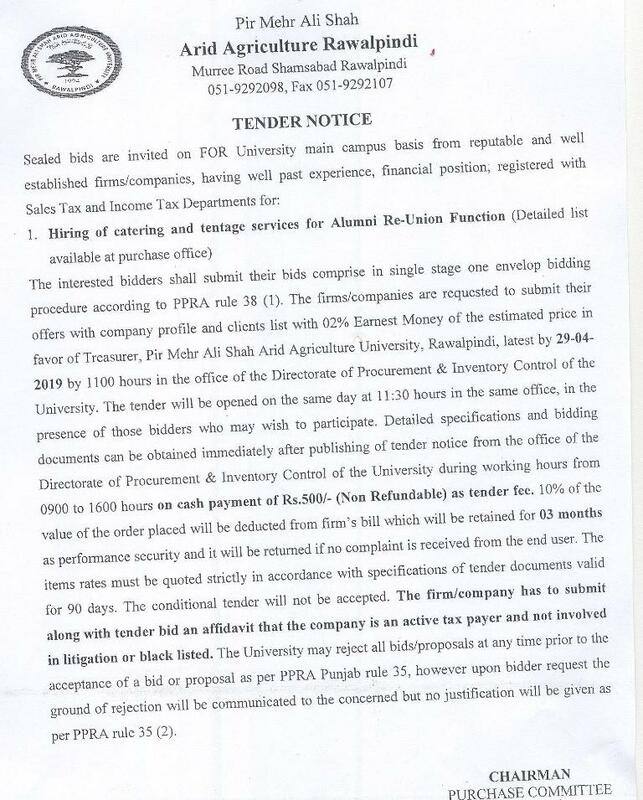 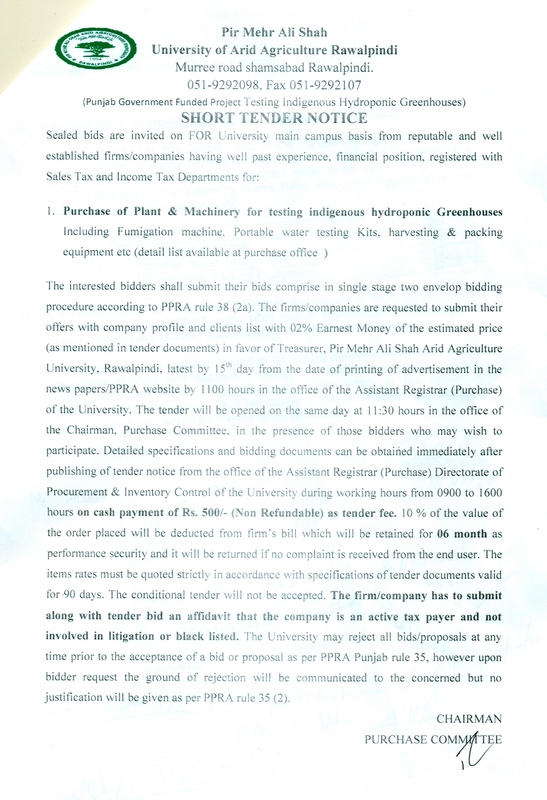 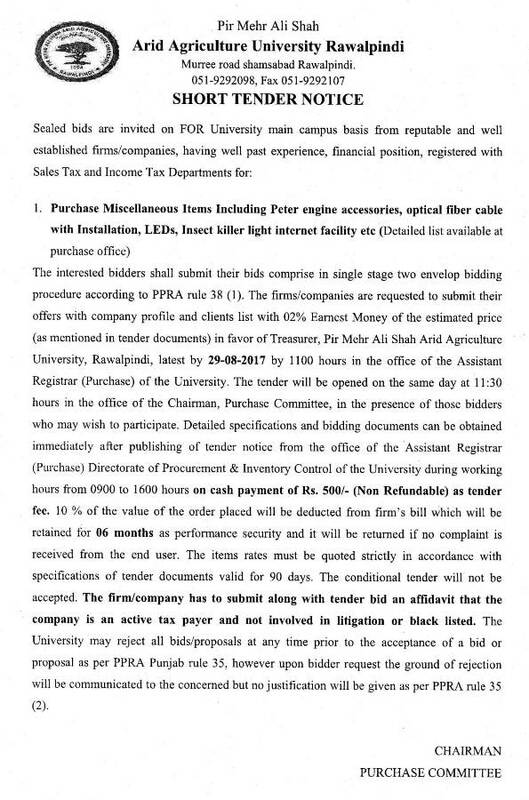 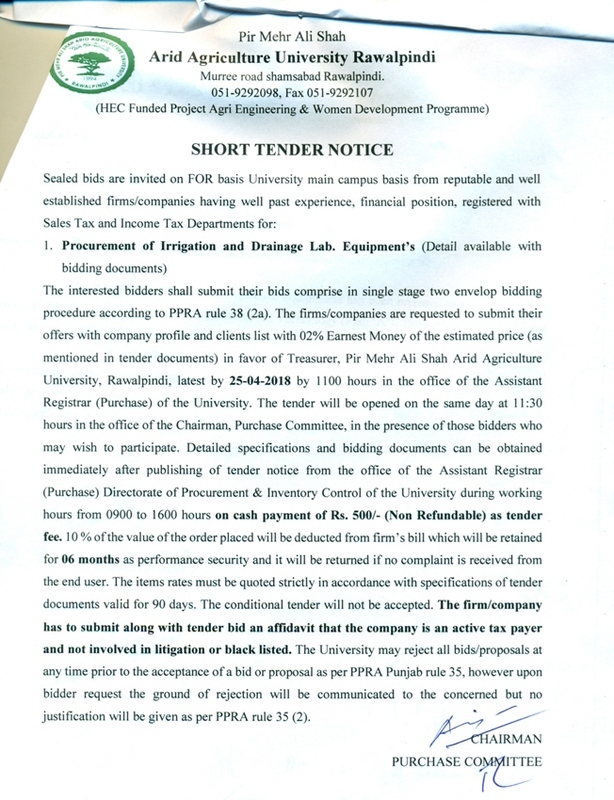 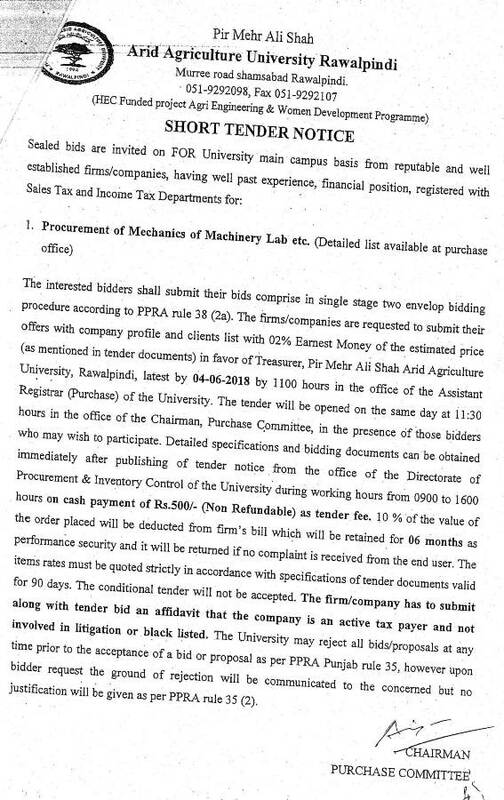 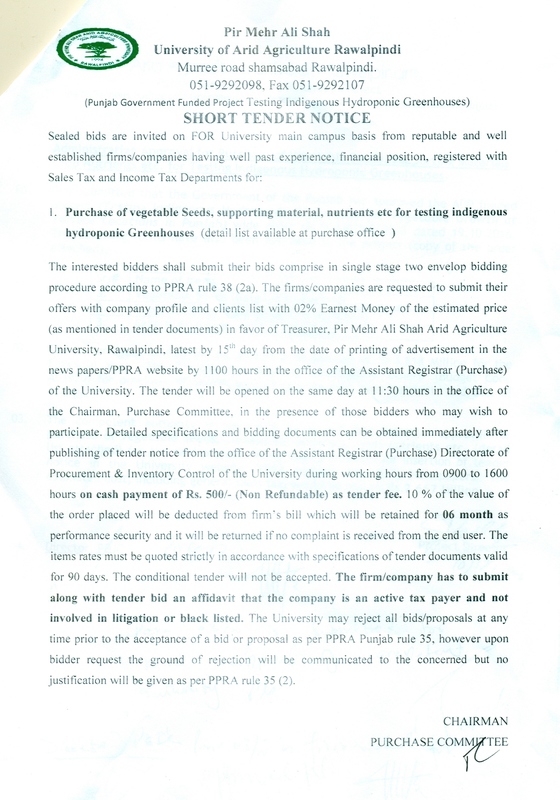 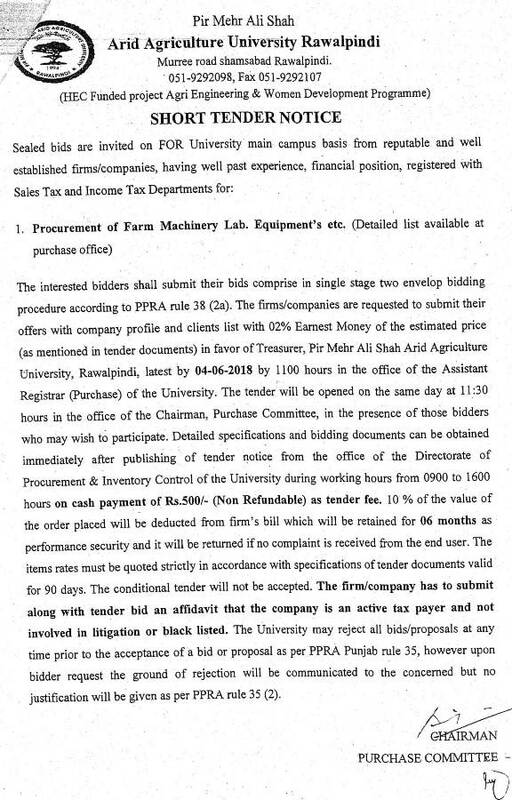 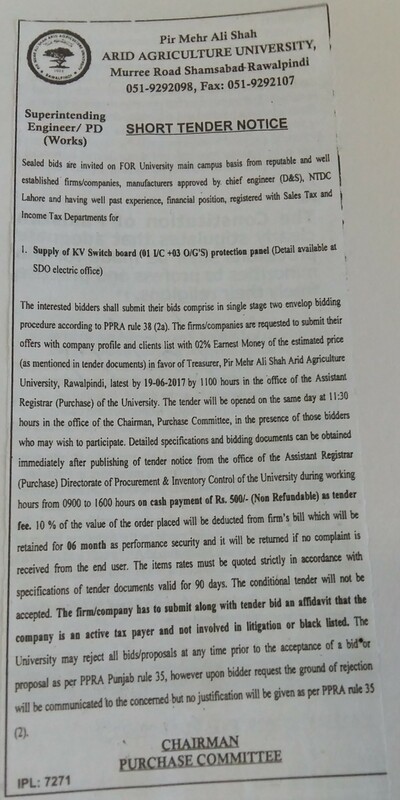 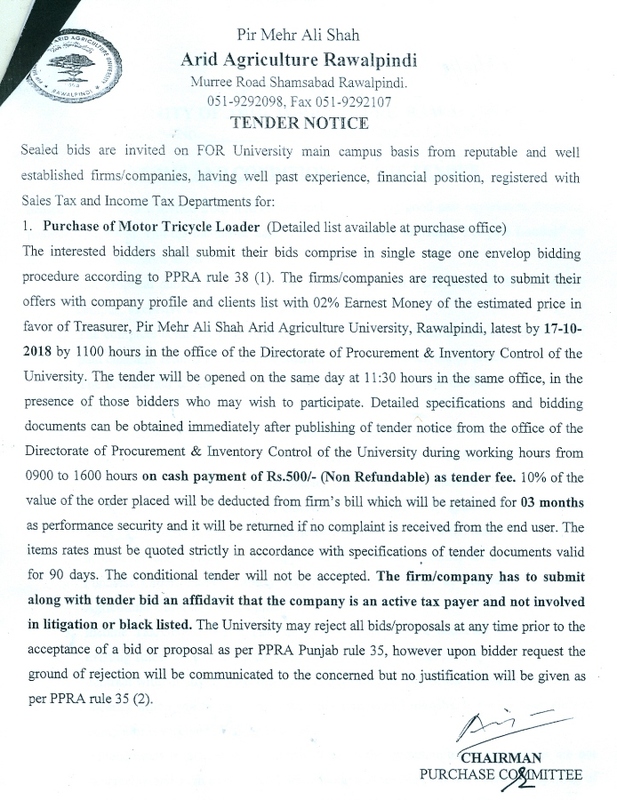 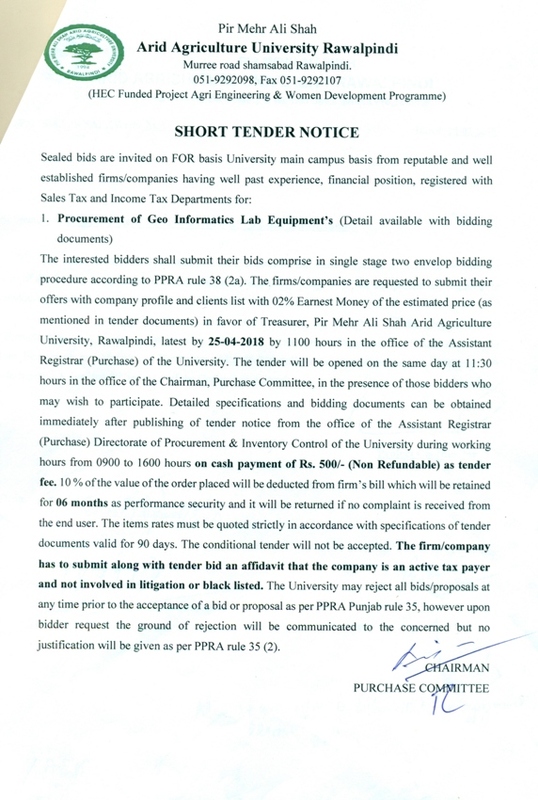 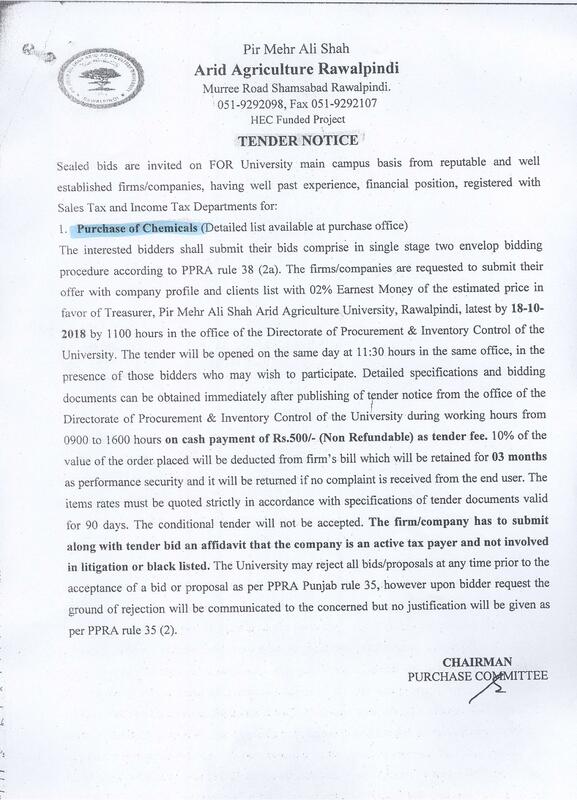 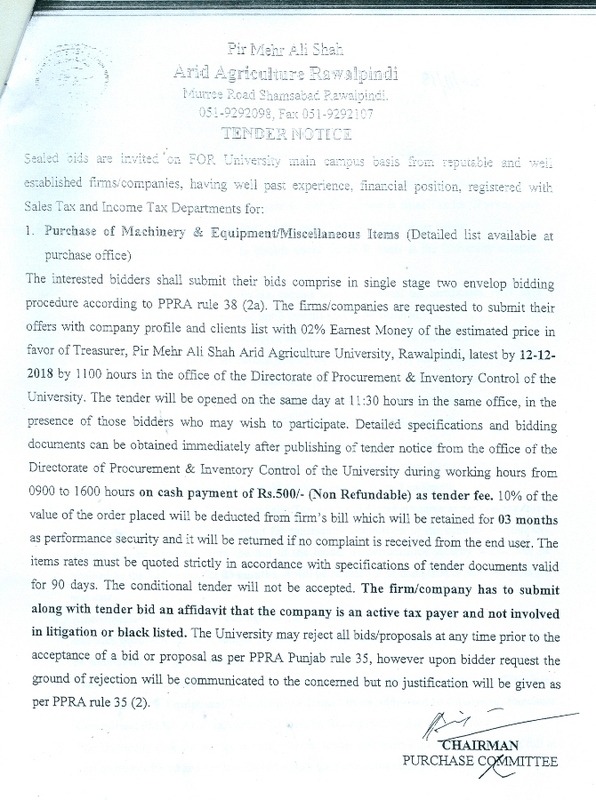 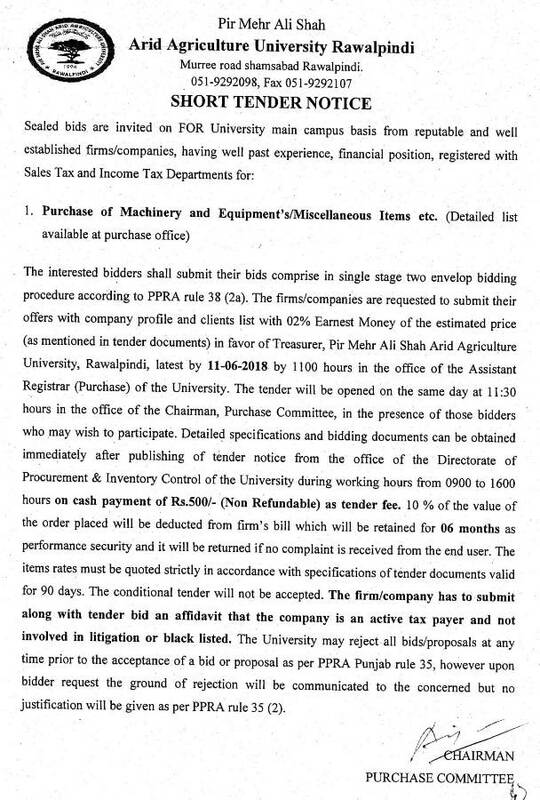 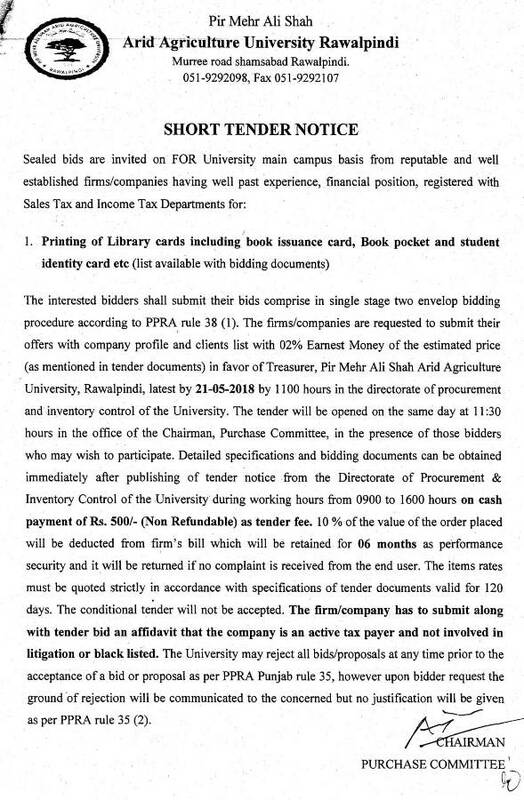 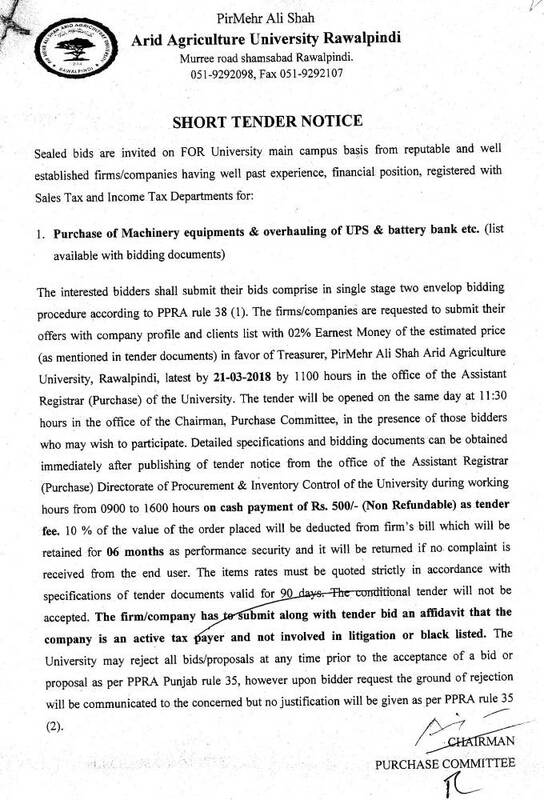 Purchase of Laboratory Equipments of L.C engines & Tractor Labs. 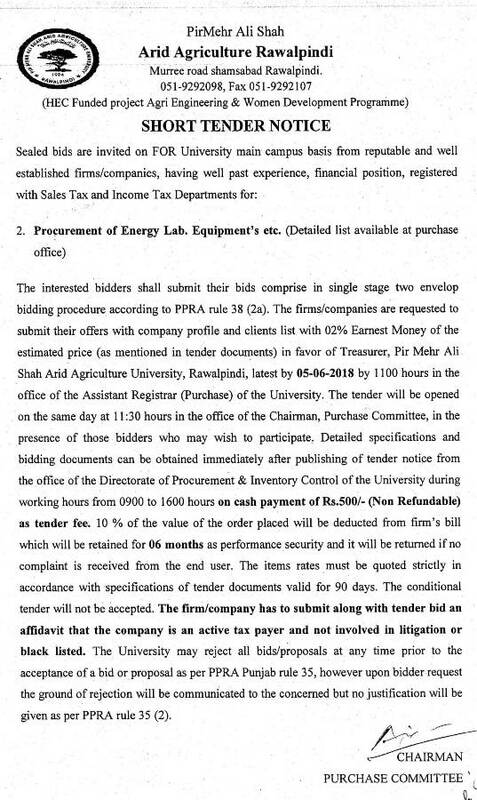 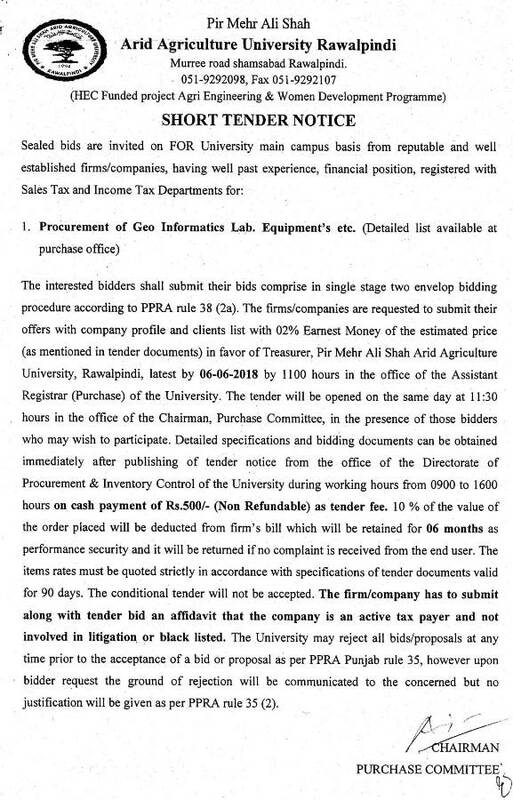 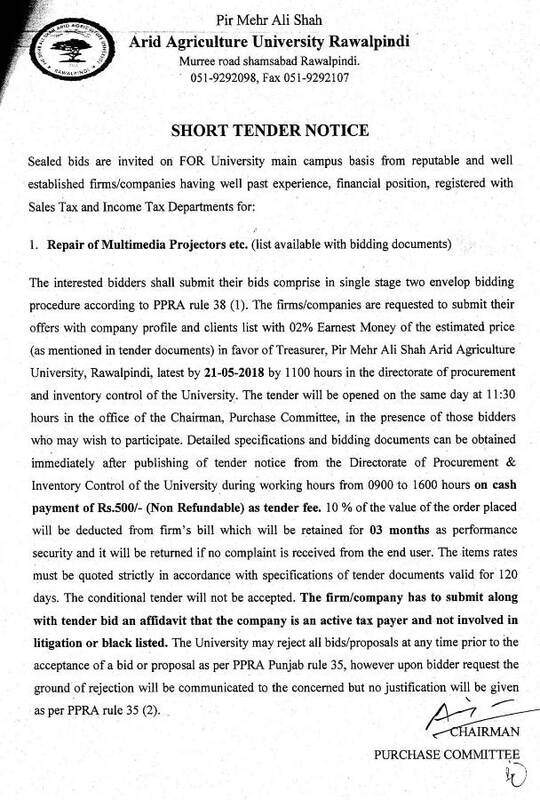 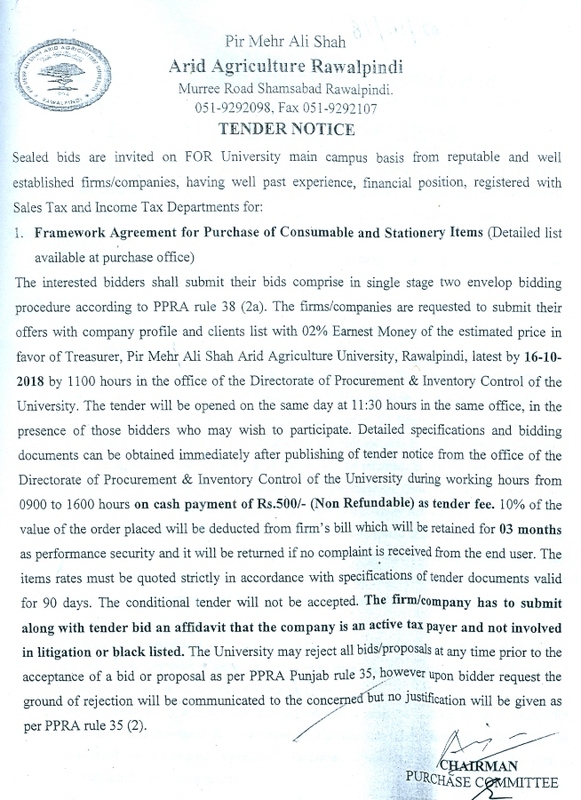 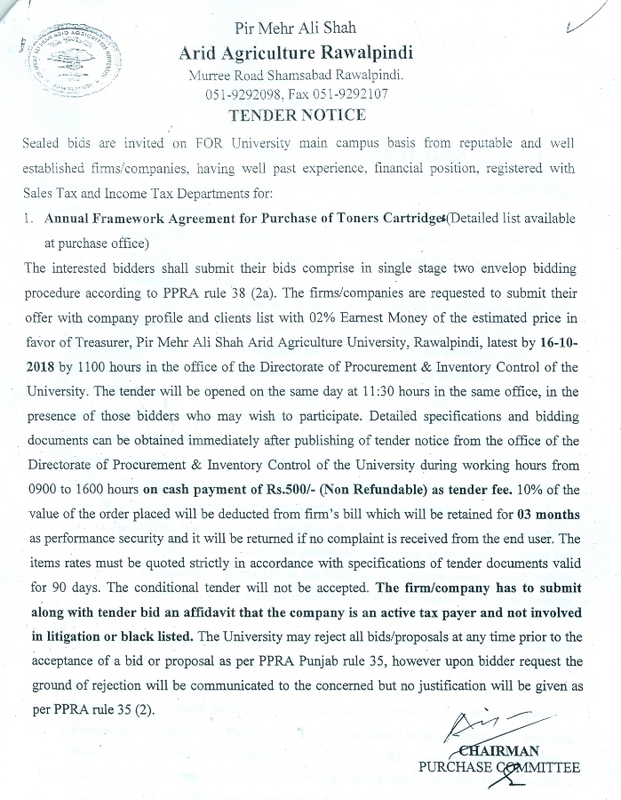 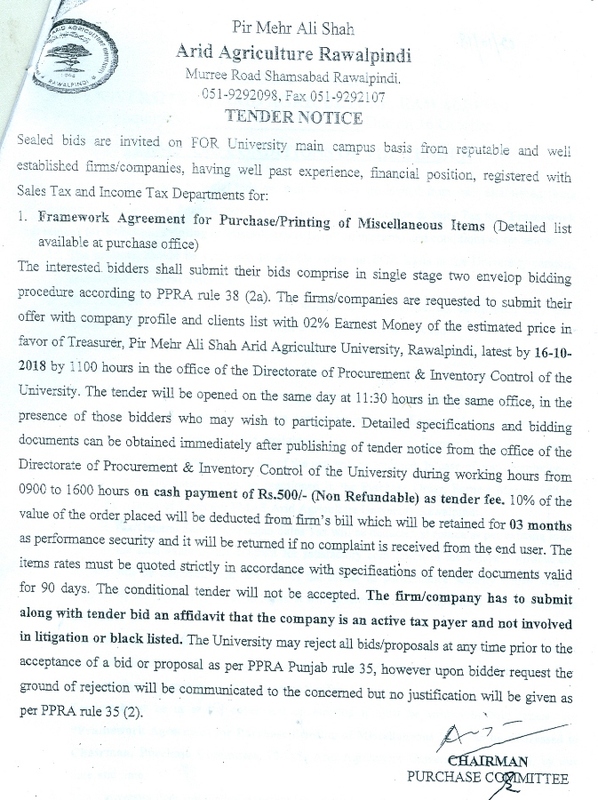 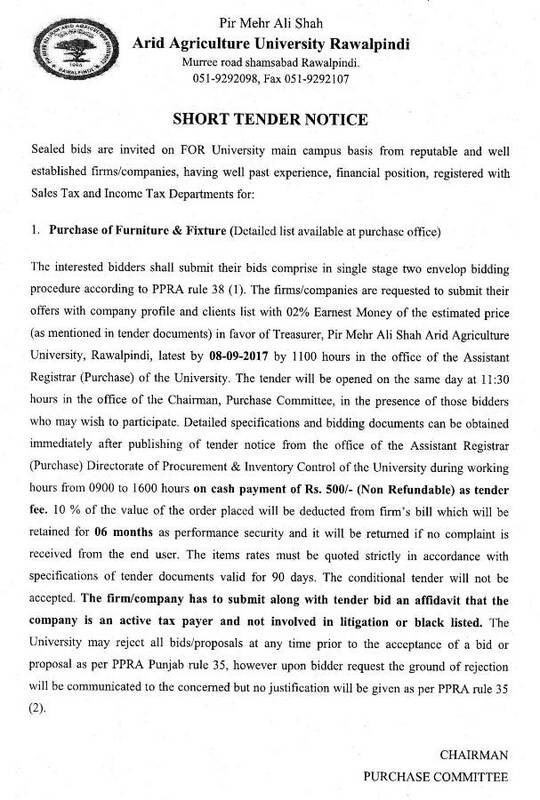 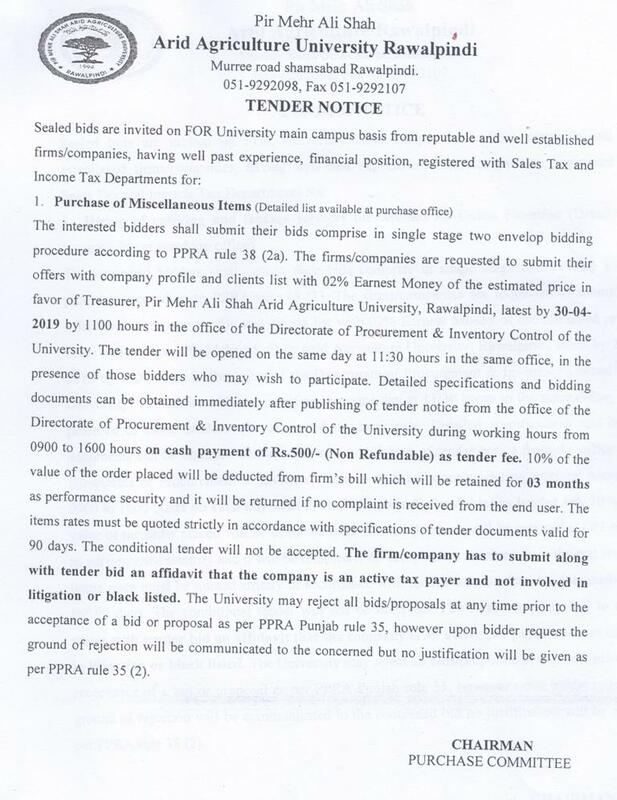 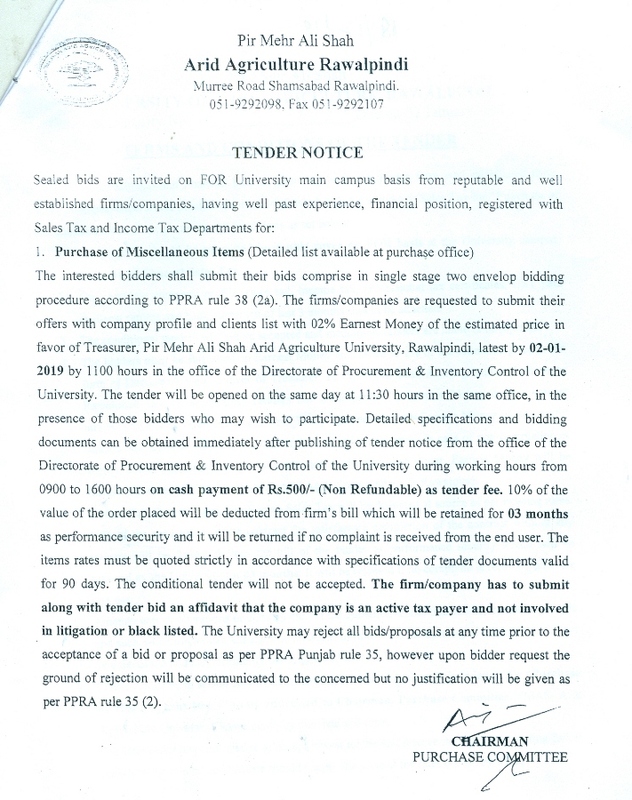 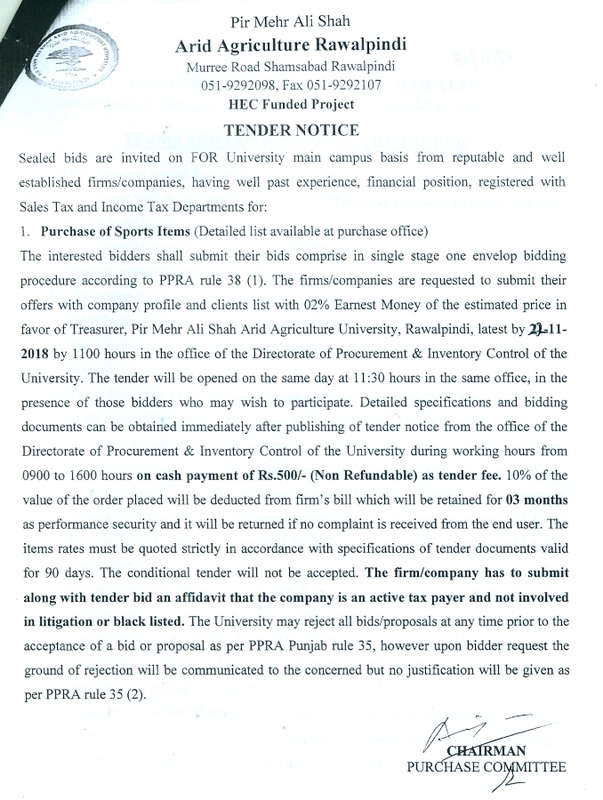 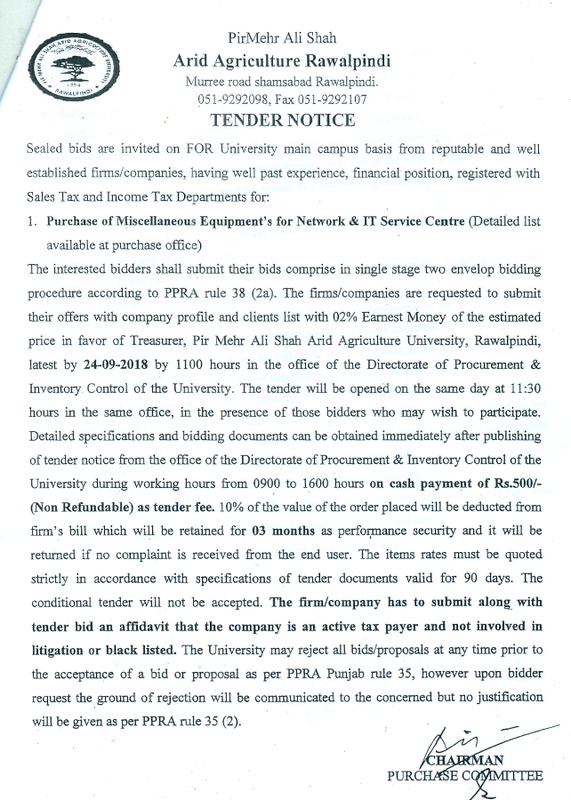 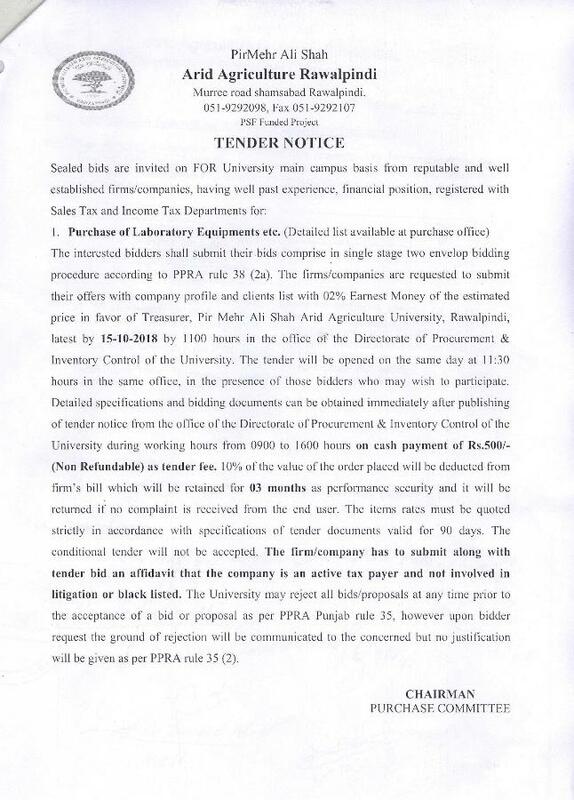 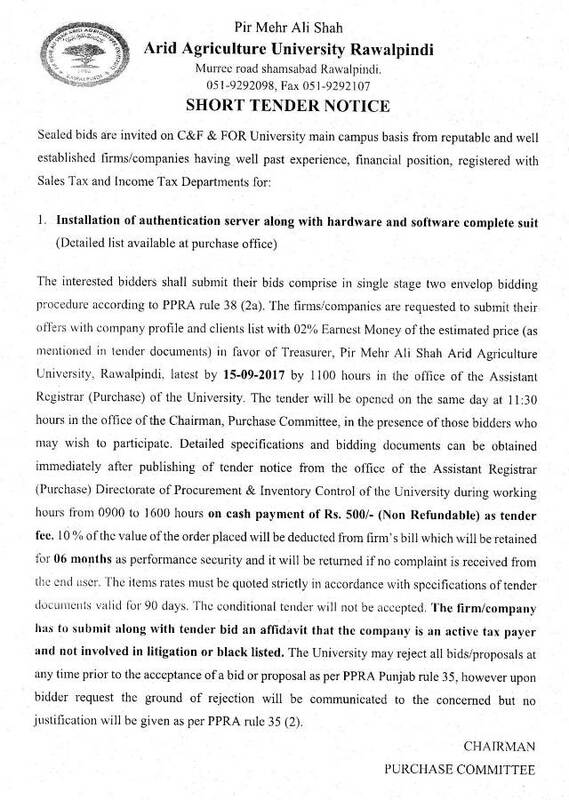 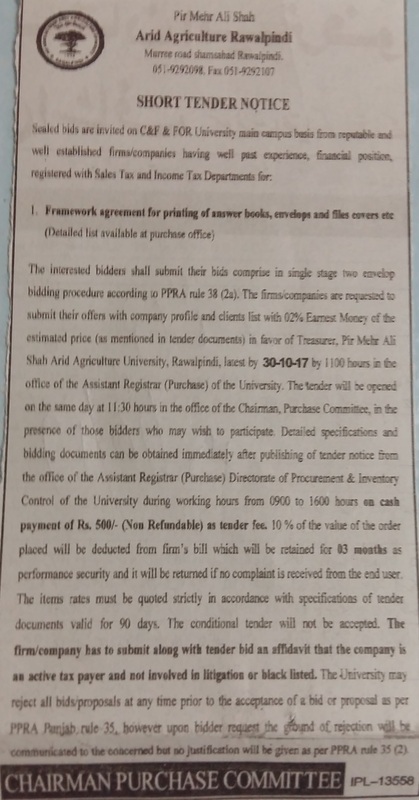 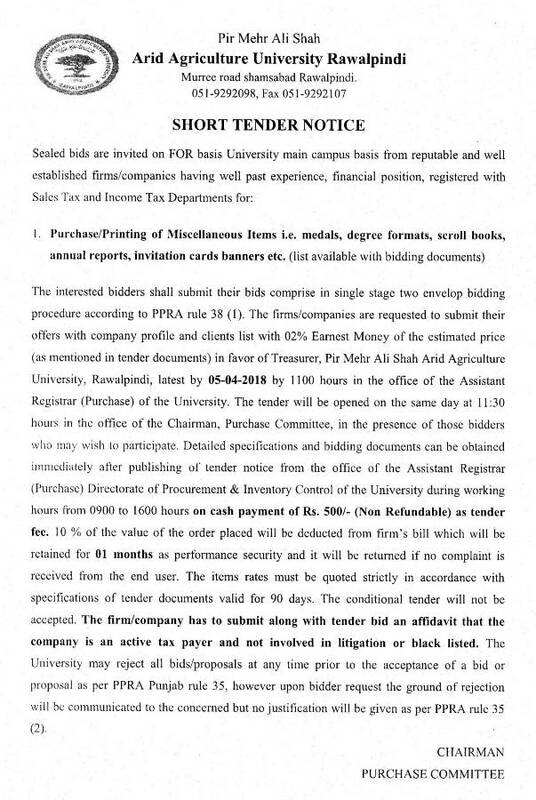 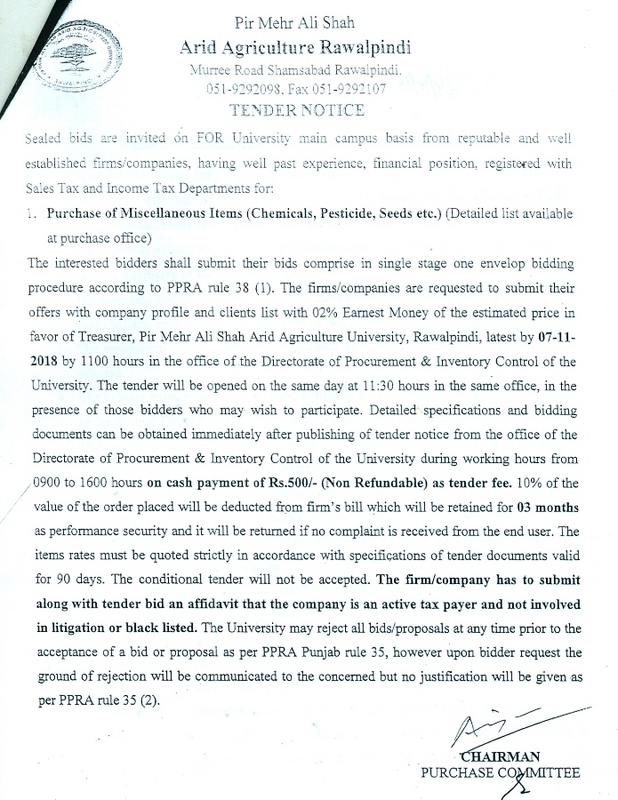 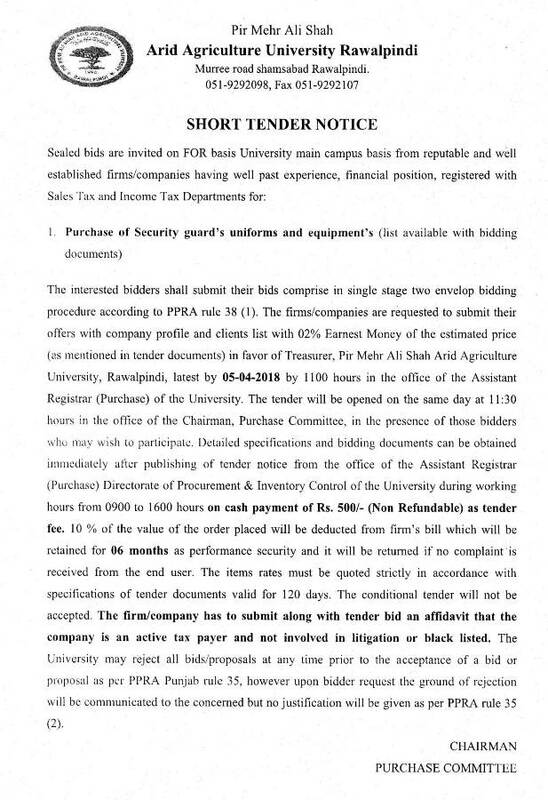 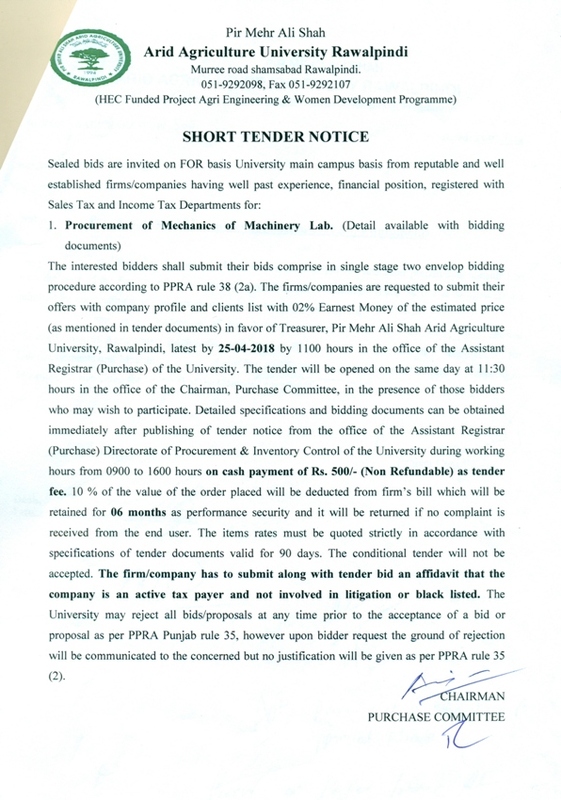 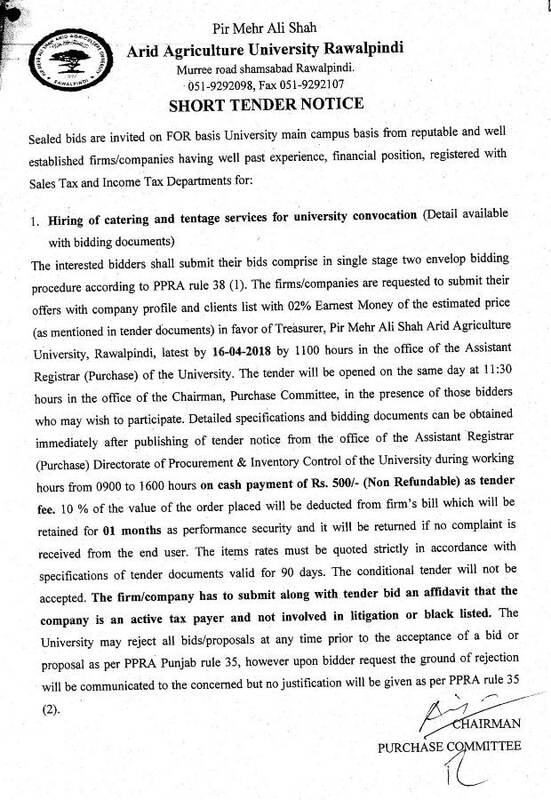 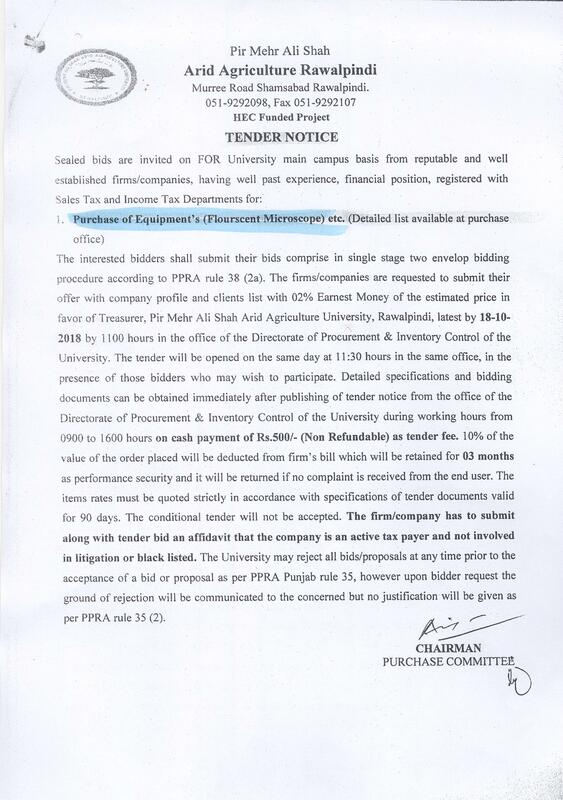 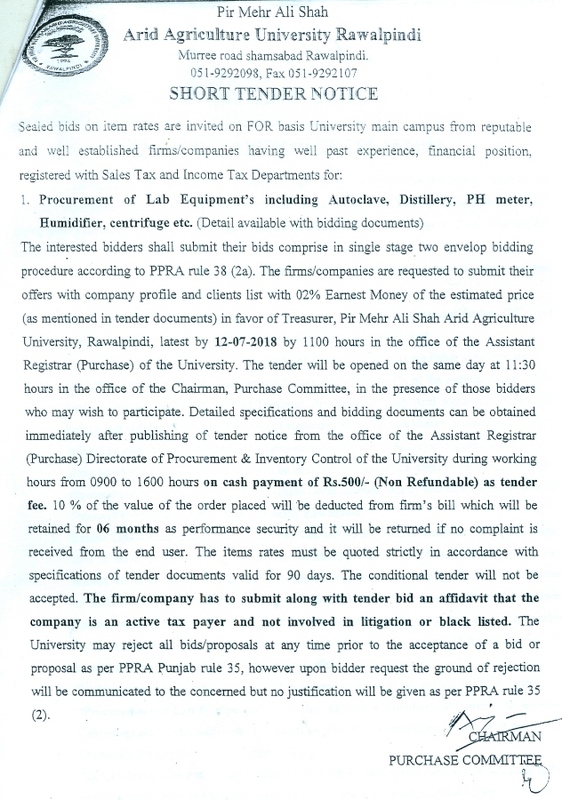 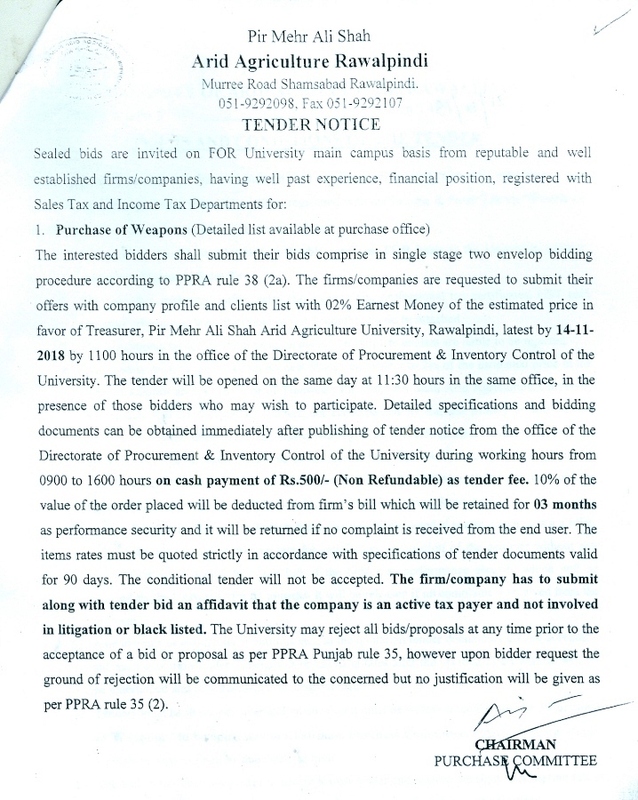 Purchase of Lab Equipments i.e. 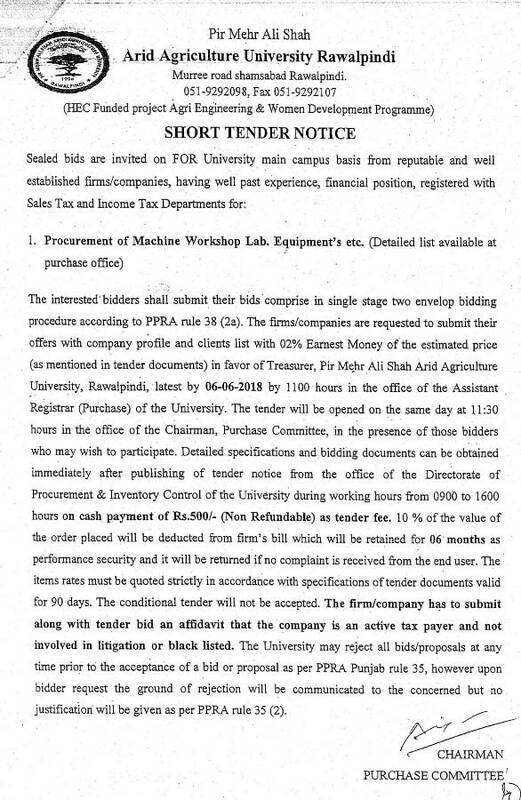 Texture Analyzer, VIS Spectrophotometer, Digital orbital shaking incubator, rotary evaporator system, centrifuge etc.